The Casino Air Molecular Oxidizer utilizes patented Singlet PentaRod Core design, a unique ‘double-dielectric-barrier micro-discharge’ technology, to create activated oxygen. The activated oxygen is injected into the HVAC system and circulated through the supply air ductwork and grilles. Activated oxygen instantly oxidizes and totally eliminates tobacco odors and chemicals in the ventilated space. Over time, the activated oxygen oxidizes and eliminates the embedded odors which accumulate in the finish surfaces of all commercial businesses which cater to a smoking clientele. Through oxidation, activated oxygen also greatly reduces other offensive gases and eye-burning volatile organic compounds found in environmental tobacco smoke, as well as most of the chemicals found in all commercial buildings even where smoking isn’t permitted. 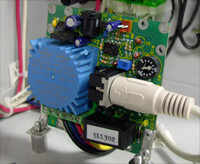 Microprocessor Controlled Sensors regulate the flow of activated oxygen and optimize indoor air quality. 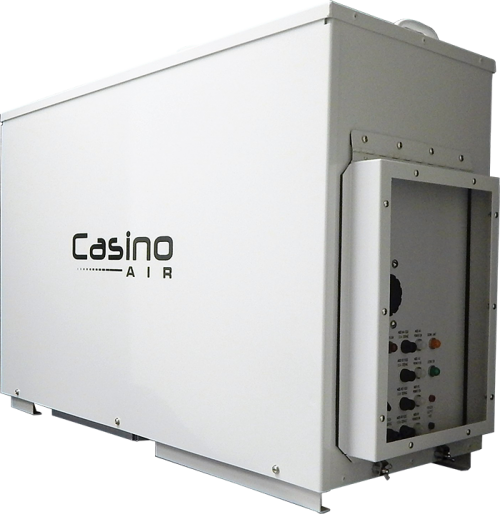 The Casino Air Microprocessor constantly samples the air as it passes through the return duct. This allows us to create a totally controlled environment on the casino floor free of tobacco smoke and odor. The sensor is programmed to instantly shut down the Molecular Oxidizer if the activated oxygen concentration reaches 50 ppb. Typical levels inside a casino with Casino Air installed is in the 20-30 ppb range, almost always lower than the atmospheric ozone level outside. After a thunderstorm, ambient levels are typically 150 ppb or higher.